China Tower and Huawei have announced the completion of a joint innovation test on 5G energy solutions. The results showed that by using innovative technologies such as intelligent peak shaving, intelligent voltage boosting, and intelligent energy storage, it is possible to achieve an efficient, low-cost site deployment without changing the mains, power distribution, and cabinets in the evolution to 5G. 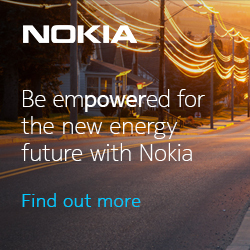 The joint innovation results provide insight into the power supply mode for 5G sites and demonstrate the value of the joint efforts being made by the two parties to promote the maturity of the 5G power industry. With network capacity set to increase rapidly in the 5G era, the power consumption required for a single 5G site is much higher than a 4G site. In addition, a large number of end sites will be deployed, causing the power consumption of the entire network to increase exponentially. To reduce site construction costs, sharing must come first. As the coordinator of China's tower infrastructure construction and sharing, China Tower faces a series of challenges in 5G construction: The power consumption of 5G base stations greatly increases, with existing base stations face capacity expansion and reconstruction. However, mains capacity expansion costs are high and take a long time, which severely affects the pace of 5G deployment while greatly increasing investment. In addition, the DC power system, batteries, and air conditioners at most existing sites need to be expanded and reconstructed. In the remote scenario of 5G high-power active antenna units (AAUs), the cable loss is high. The remote voltage is even lower than the operating voltage of the AAU in some cases. As a result, the AAU cannot work. The entire process, from 5G network power supply requirement reviews and test case designs to comprehensive tests, was conducted an expert team from China Tower and Huawei Network Energy Product Line. Based on the industry's first 5G-oriented power supply solution provided by Huawei, the test, which was conducted in Hangzhou, China verifies the functions of intelligent peak shaving, intelligent voltage boosting, and intelligent energy storage. The site in Hefeng Village is used as an example. The average load is 1.4 kW, while the peak load is 2.7 kW, and the AC power limit is 1.6 kW. When 5G services are simulated, the peak load exceeds the power limit and lithium batteries start to power the load to achieve intelligent peak shaving. When the load is light, lithium batteries immediately switch to the equalized charging mode. Huawei's 5G Power Solution intelligently controls batteries and air conditioners based on a sites power consumption and mains capacity to achieve “no mains change” and thereby reduces the capital investment when sites evolve to 5G. The joint innovation test between Huawei and China Tower on 5G energy solutions will help build sustainable infrastructure in the 5G era, strengthen the ability to cope with climate change, and contribute to the achievement of Goal 9: Industry, Innovation and Infrastructure and Goal 13: Climate Action in the UN Sustainable Development Goals (SDGs). In 2018, Huawei 5G Power Solution won the “5G Green Energy Industry Strength Award” by People's Posts and Telecommunications News, an authoritative newspaper in China's communication and information industry.